Give a luxurious look to your décor by placing this beautiful Bokhara design carpet which is woven in pure silk and cotton material. Due to pure silk and cotton, it is a highly durable rug and ideal for a bedroom as well as a living room. Get indulge into the richness of Indian rug tradition. 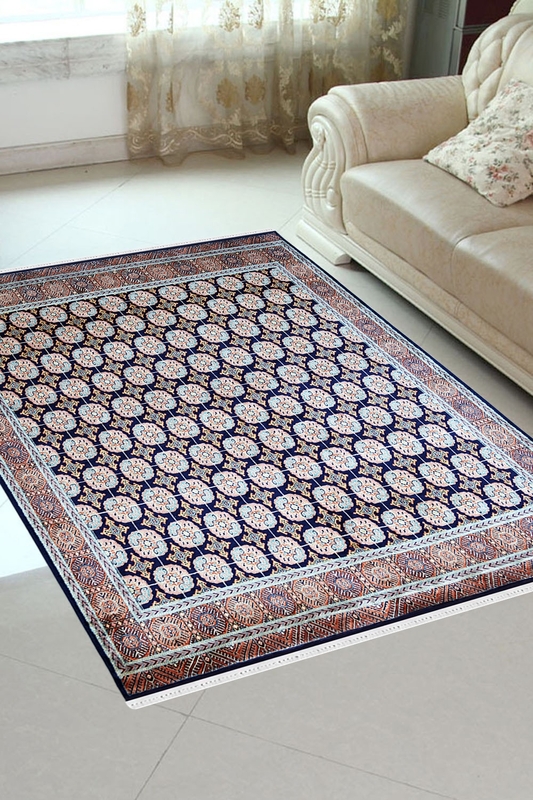 The bright blue rug with extremely beautiful border is designed to welcome your visitors gracefully and tell them about your luxury and class. Bring home the unexceptional piece of beauty with this Indian rug. This is woven in pure silk and cotton material. It contains Bokhara design pattern which is originated from Persia in 18th century.